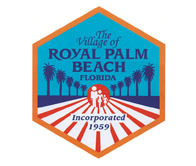 The Royal Palm Beach Recreation Advisory Board met Monday, March 25 and was treated to a “State of the Parks & Recreation Department” overview of accomplishments over the last year and a briefing on what village residents can expect looking forward. Longtime Royal Palm Beach Parks & Recreation Director Lou Recchio said that his department’s greatest achievement last year was the reopening of the Royal Palm Beach Cultural Center. “If you haven’t seen the newly remodeled Cultural Center, please, do yourself a favor and go visit it. People love it and are booking all sorts of events there,” he said. Another key achievement last year was successfully moving all senior activities to the Royal Palm Beach Recreation Center during the extensive remodeling of the Cultural Center. Village residents can expect a variety of new programs and events to be offered in the coming year. Recchio said planning is now being done on upcoming projects, including the establishment of a new, annual “Inflatable 5K” event that may be held on village waterways, possibly in conjunction with other Independence Day celebrations. “My staff is currently working on such new events as a father-daughter dance to be held at the magnificently decorated Cultural Center, plus we want to create a new talent show event where village residents can come together, have fun and be entertained,” he said. Recchio presented the volunteer board with a list of 21 accomplishments of the department over the last year. The list of successes, along with a list of upcoming challenges, was compiled as part of the village’s strategic planning process. In addition to the Cultural Center upgrade, major accomplishments over the last year include: the establishment of a new and successful Rocktoberfest event, various athletic field renovations plus lighting enhancements, and playscape improvements at Royal Palm Beach Commons Park, Todd Robiner Park and Penzance Park. At last week’s Royal Palm Beach Village Council meeting, Councilwoman Selena Samios was again appointed as liaison to the Recreation Advisory Board. Recchio agreed. “We have learned over the years that the village is a family community. The events that do best are ones where we have something for everyone in the family,” he said, noting that Winterfest last year was the village’s “best ever” with more than 12,000 attendees. The Recreation Advisory Board was also briefed on details of the village’s grant application to the Palm Beach County Transportation Planning Agency for a bicycle-pedestrian wayfinding project. That project will create better signage and mapping so that residents and visitors can more easily navigate the village via bicycle. The Recreation Advisory Board not only oversees the activities and programs of the Parks & Recreation Department, but also oversees village compliance with Palm Beach County’s local discretionary sales surtax fund. The board meets on the fourth Monday of each month at 7 p.m.